Want to view the source code a web page on an Android Phone? Yes you can, follow these simple steps and you'll be able view the web page source code in matter of seconds. Ever wanted to view source code of a website on your Android phone? If you'll try viewing source of a web page then you'll find their isn't any way to lookup the code. It is very easy to check it on a Computer. Just open any browser, right click, and view page source. It's that easy on a PC. If you use Google Chrome or Firefox as your default browser on your Android then it will be very easy. Don't worry if you don't use Chrome. 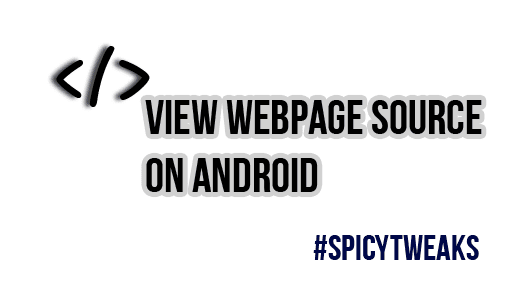 We will use other third party applications to view page source on an Android phone if you don't use it. Follow the following steps if you're a Chrome/Firefox user. Just add view-source before the URL and load the page. You'll see the source code of the page in the matter of seconds. For example - If you want to view the source doe of http://google.com then type view-source:http://google.com in the address bar. It will also highlight the syntax for you and allows to copy the source code to the clipboard. If you're not using Chrome then install a third party application which do this task easily. Try searching for "View Page Source" on Play Store and install the one which appears good. Too lazy to search for the app? 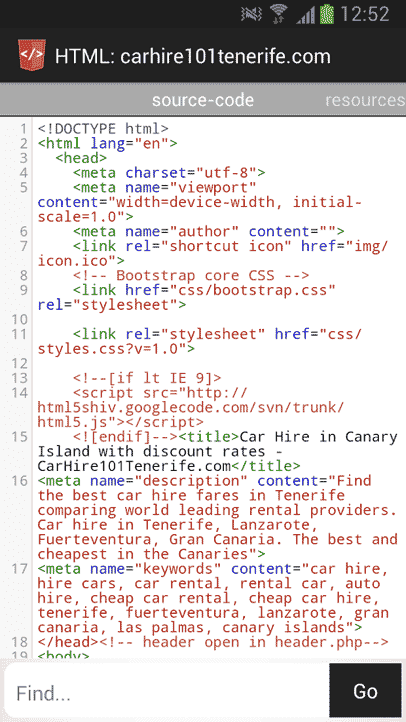 Try HTML Source Code Viewer or View Web Source. In the View Web Source application you can use the share feature of the browser to view the source code of the page you're currently viewing. Go to menu > Share > View Web Source. But this application doesn't highlight the syntax and many of you will not like it.